Ted Birkhahn, president of the recently launched Hot Paper Lantern, joins the podcast to talk about why he and his partner, CEO Ed Moed, split from Peppercomm. Also: Gillette's toxic masculinity ad, Stuart Smith's new job, State Farm's PR AOR, and WE's acquisition of a content shop. Ted Birkhahn and Ed Moed split from Peppercomm last summer to launch their own shop, Hot Paper Lantern. 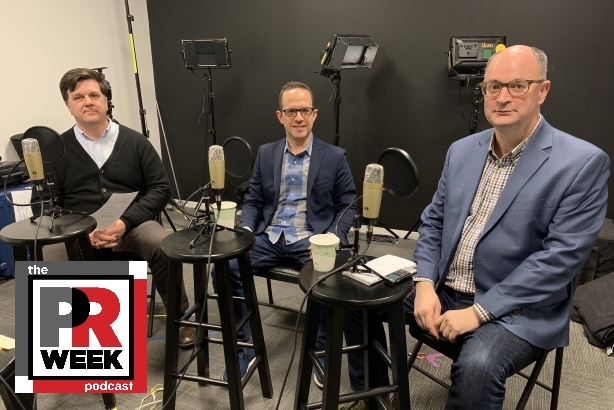 Birkhahn, who is president of the new venture, joins PRWeek's Steve Barrett and Thomas Moore to talk about his agency's philosophy. The group also tackles Gillette's polarizing ad and the backlash and support it's recieved; Stuart Smith's job at Vegolutionary Foods; State Farm selecting Zeno Group as PR AOR; and WE Communications acquiring content firm Codeword.